What do I wear with: P.Monjo P-704? Each Wednesday we’ll answer the on-going question: “What do I wear with these?” It’s a question we get quite often here at the shop and we love giving suggestions when helping our customers. This week we feature the P.Monjo P-704. This week we feature a slip-on bootie from P. Monjo. 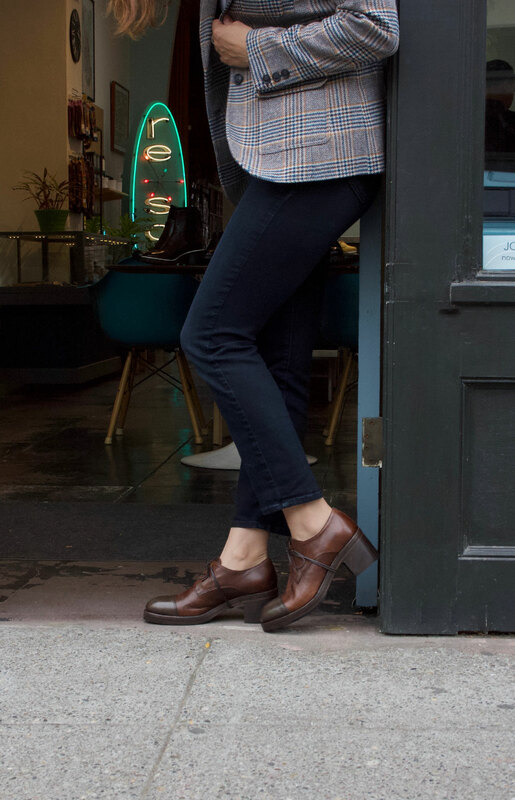 It is the perfect pant boot to wear everyday with cords and jeans. The rich chocolate color makes it very easy to wear with your autumnal wardrobe of skinnies and chunky sweaters, yet elegant enough to pair with a printed silk top and your favorite velvet pants. > P.Monjo P-704, chocolate brown leather bootie, $398, made in Spain.